If you’re trying to promote your digital business, then it’s essential that your business should have a professional web presence. WordPress allows you to have this massive creation at a very low cost, with minimal technical knowledge. We have gathered here a set of 5+ digital marketing agency WordPress themes using which you can create a website for your marketing agencies and other related businesses. Specifically, a promotional firm, business companies, small-scale industries & creative agencies can use this themes to create a website. These WordPress themes are simple to install and have full customization options. Through these customization options, you can customize almost every element of your website including images, logo, taglines and a lot more. Our hand-picked list of digital marketing agency WordPress themes can engage the potential clients with sliders, blogs, gallery, testimonial sections and more. Also, these themes are rich with SEO compatibility, responsive layout, retina ready display as elementary features. 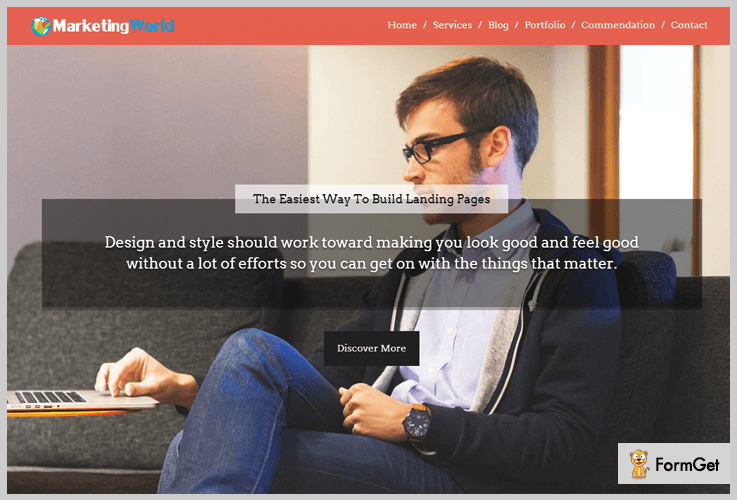 Now have a look at best 6 free and paid digital marketing WordPress themes below. Content marketing is one of the key factors of the digital marketing world. And if you want to share your content writing skill online then there’s no better option than expert marketing WordPress theme. The expert marketer is a single page template which will help you to display your marketing skills in a simple and elegant way. You can list down your pricing plans for content strategy, content creation, projects in the attractive pricing table. There’s also a hexagonal portfolio section with image categorization. This will display the images in an amazing manner and will redirect to the linked blogs. You can buy this Expert Marketer WordPress theme at a price tag of $79 and can easily pay by using PayPal integration. Introduce the experts of writing, writers, and content junkies in the team section. Highlight all the essential services like content marketing cycle, promotion, and other services in the 4 column feature area. Video section which can be used to give presentations to your clients. Here videos can either be uploaded or embedded from YouTube, Vimeo etc. Full-width sliders with hover effect and images with business tagline will surely attract customers. 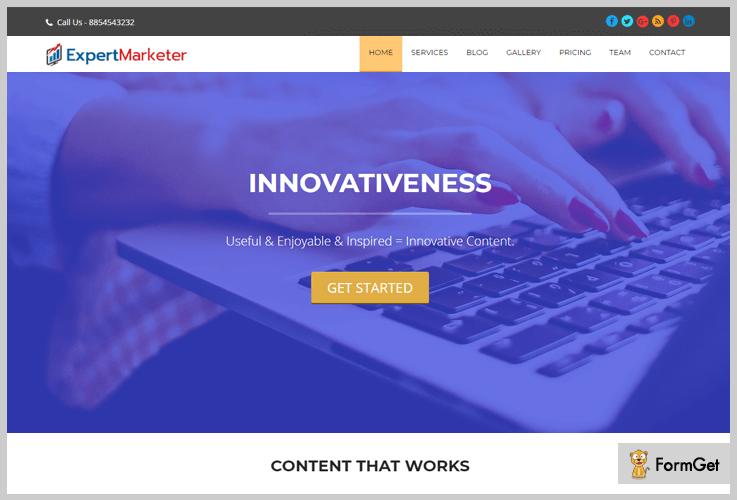 MarketingWorld is a user-friendly and flexible, one page and responsive WordPress premium theme. If you are from a non-coding background and developing a site, then you won’t face any error as it is built with debug mode on. It also has W3C validations which assure that your created website will always be work with the newer versions of browsers. Then, you’ll find layered sliders with images and text description will help you to uplift your business online. 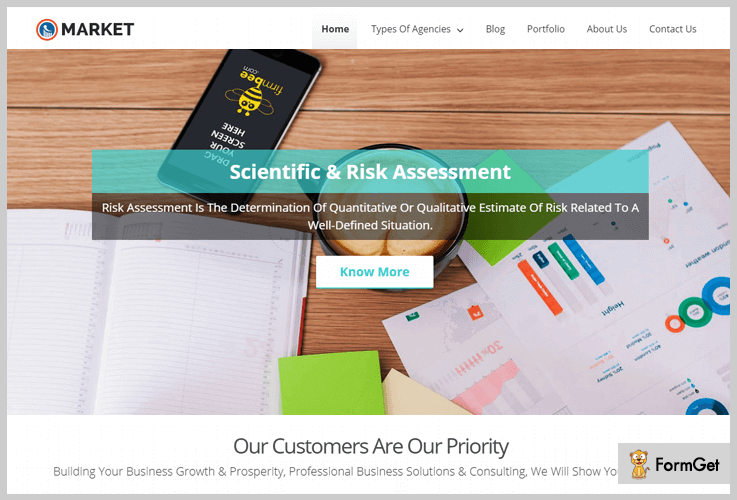 Further, creative marketing, branding, advertising agencies, PR companies, and email & SEO marketers can use this template for their business site. This MarketingWorld theme cost is $79. It also provides you with a single click and fully adaptable with all screen sizes. 3-column feature area for promotion of your services with font awesome icon. Blog section area where you can display marketing tips, tricks, ideas, and sales strategy with news and latest updates. Testimonial portion will cover all the essential reviews and experiences of clients about the services you offer them. Gallery section with parallax effect will give an outstanding look to your site that will engage your users. Market WordPress theme is basically designed for agency website, an advertising firm, B2B companies, marketing agent, branding, and media agency. The homepage of the template is very versatile and has different kinds of sections to serve your clients with services. These sections include a blog section, service section, testimonial section, in fact, you get the liberty to create unlimited page-templates. Here sliders here are of two different types-layered and standard layout using which you can put the images and with text description on it. The Market template price is $79 with a developer license and future updates facility. Showcase your services in the section area with flipping effects which will surely give a beautiful look. A business headline and punch line will attract the attention of your customers. Sliding blog section on the homepage where you can highlight the latest updates, upcoming business plans, news etc. Tab feature section will also display all the multiple services with a short description. EmailSender is a perfect digital agency WordPress theme that focuses on many things at one time. A full-width slider will cover all the major points of your business like a business tagline, business logo, custom menu, call to action button and with an image and description. There are a lot more features in this theme which we’ll be discussing in the features section below. Email marketer, digital marketer, affiliate marketer, a web marketer can use this template for promoting email marketing business. 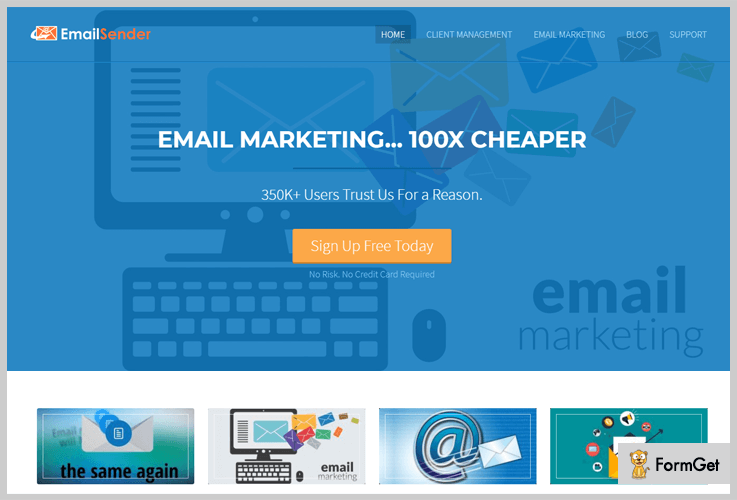 The EmailSender template costs you $79 with 24*7 supports and lifelong updates. Ad banner section is provided for you to display best offers an advertisement. This can be either used by you or you can earn passive income by showcasing other advertisements. Video section for uploading the marketing tools introduction and videos on your products to engage users. Featured blogs related to email services and tools will keep updating users about email strategies. It has 4 column widegtized footer area. Here you can showcase about us, gallery, contact details, social icons etc. 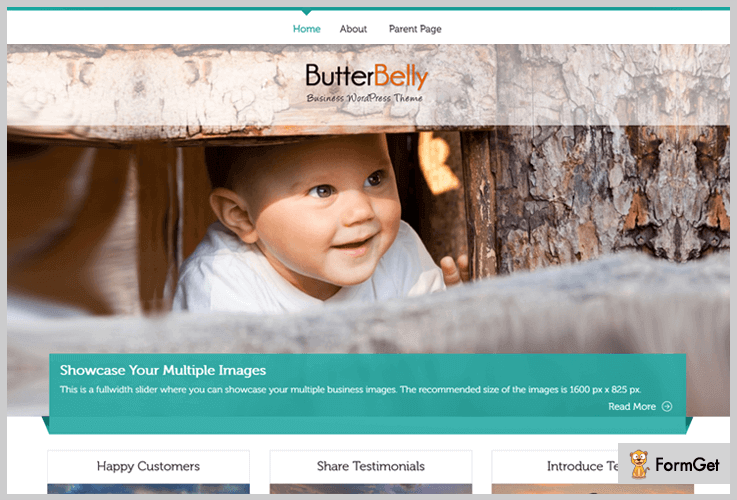 Butterbelly template offers two layout selection scheme – multi-page and single-page. Its features of a full-width slider with an image with a caption and a business logo on the homepage will give a decent look to your website. Further, you can add a business logo, intro, text, and background in customization theme options. It has five widgetized areas-two in the sidebar, three in the footer section of the site. You can add featured images for your marketing company, thumbnails for gallery posts. The template is translation ready with the help of WPML plugin. Two column section area will surely display your all the services and strategies in a good manner. Compass is the very popular WordPress theme with 2000+ active installation. 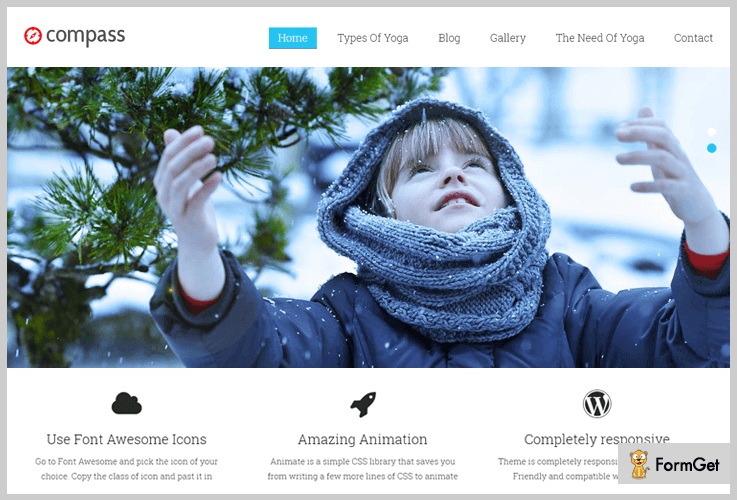 The Compass is a simple, elegant WordPress theme. You can easily access this theme within a few minutes with dummy content. Both personal and professional niches can use this Compass template. Font awesome icon can be used in the service section. These font awesome icons will give an attractive look to the service section. Compass WordPress theme is free for you, with its multiple services like responsiveness. Blog section to keep updating your users with digital marketing latest updates, techniques, ideas, tips etc. It has seven widget areas – two in the sidebar, four in the footer, and one on the home template. The threaded comment section for your users to ask any query and can give reviews on services. Right sidebar includes a search box, categories, archives on the homepage of a website. Above we have elaborated all the best digital marketing agency WordPress themes. Moreover, there are specific and common features which will surely help you out with developing a website. Activate the best one of the above-mentioned themes. If you want to share some words or have any kind of query feel free to comment below.